October brings some of the most amazing parts of the year. Fall, changing of the leaves. Cooler weather to be able to wear our beloved hoodies & boots. And best of all? Halloween! We love the costumes, pumpkin paintings, the yummy smells and the best yet, Candy! So today I'm joining the Halloween Bag-a-palooza with a free tote pattern! 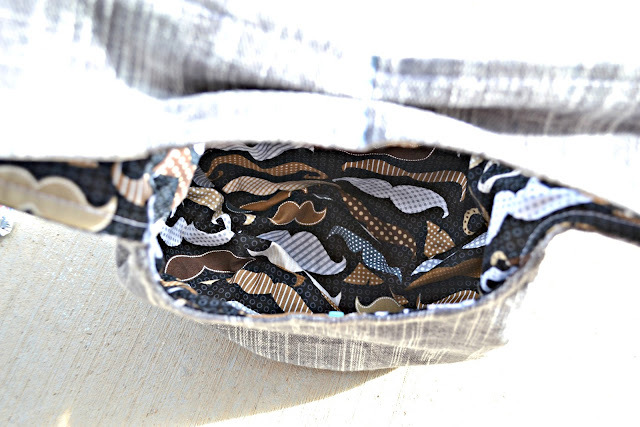 There will be lots of goodies on this tour, so make sure to check out each stop! This Halloween tote pattern is reversible and comes in two sizes, small and medium. 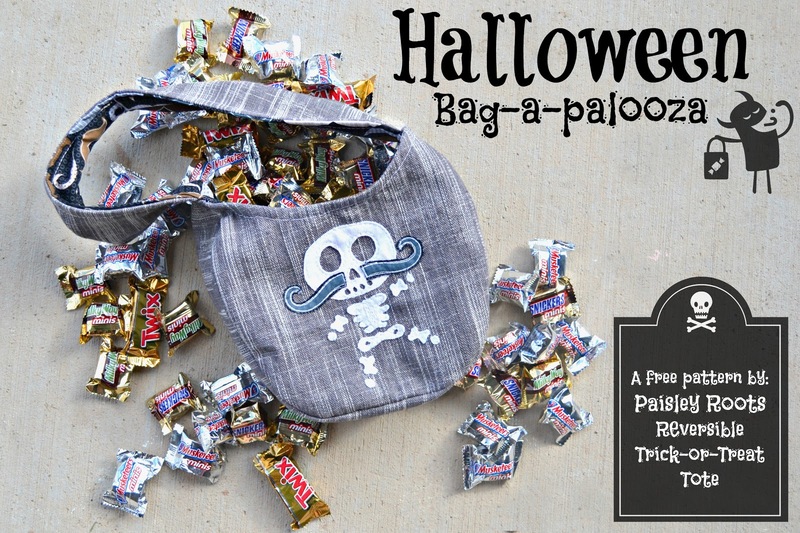 The perfect size for little kids to use to trick-or-treat (I stuffed 3/4 of a giant $15 bag of candy into it for this shoot....) and it's also great for a fun bag to tote their toys or other treasures around. 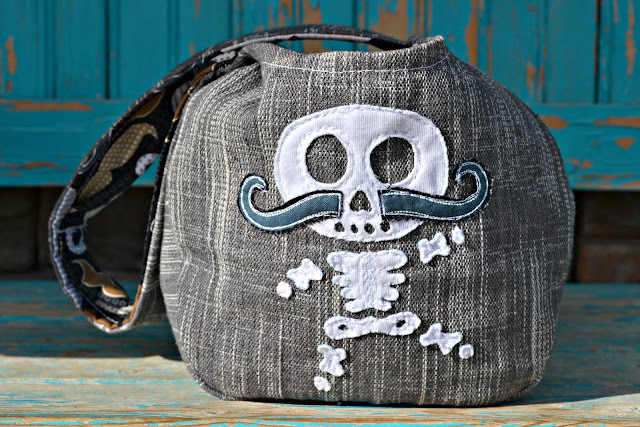 I couldn't resist adding a fun Free Motion Applique (Designed by Stitch Art) and since I used my coveted Moustache fabric for the lining, I couldn't resist giving Monsieur Skeleton a wonderful moustache of his own. 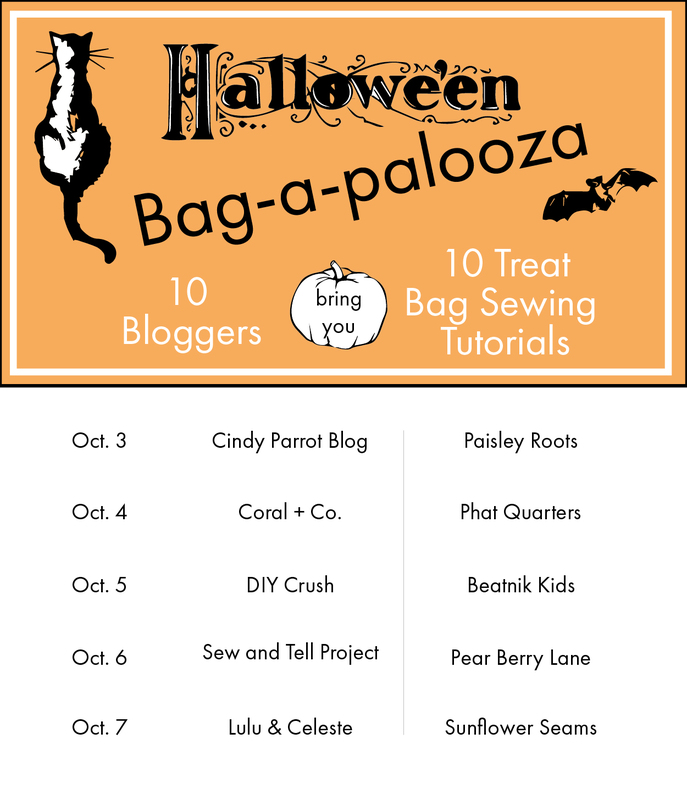 You can download your Reversible Trick-or-Treat Tote HERE! 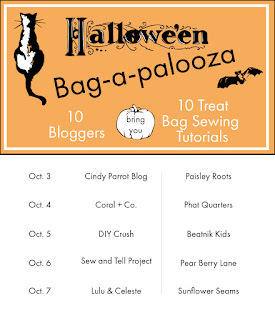 Then go check out Cindy Parrett's blog! I can't even get over how awesome this is! Thanks so much Karly for joining in!!!! LOOOVE this !!! the little moustache on the skelly is soooooo cute! 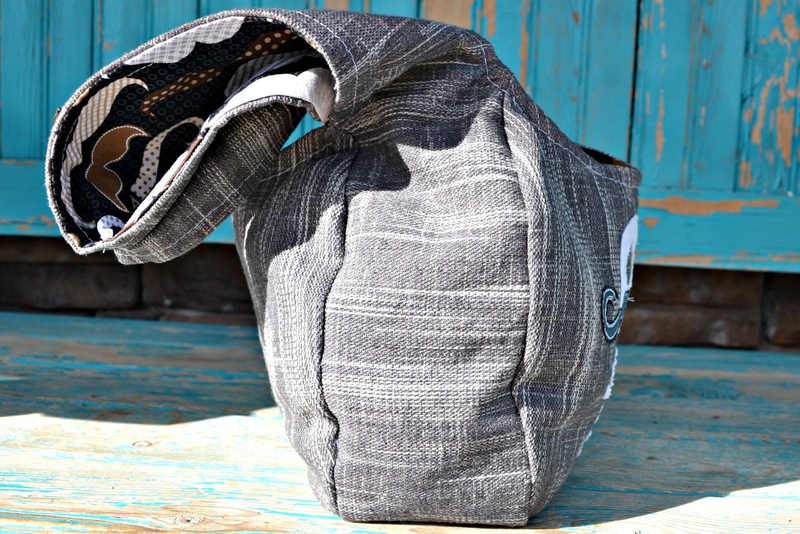 Oh this is such a cool bag!! I love it!